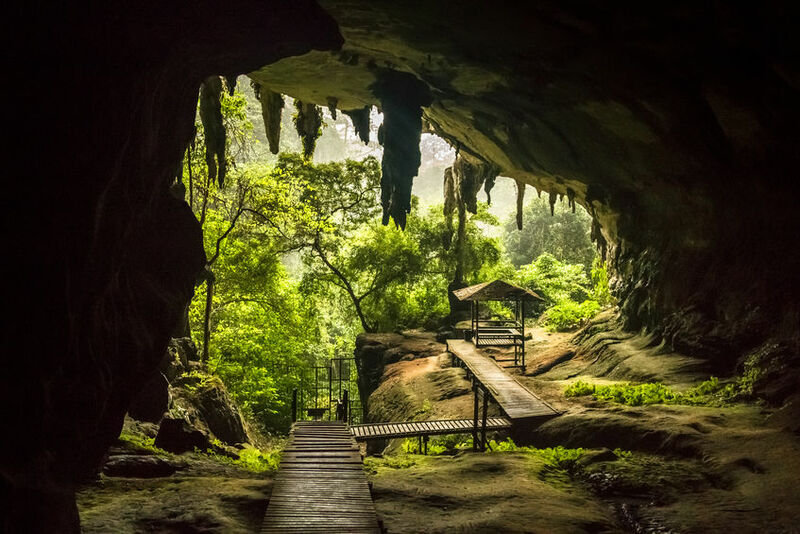 KUCHING (Jan 23): The Sarawak government is applying to have Niah Caves (pictured) to be listed as a United Nations Educational, Scientific and Cultural Organisation (Unesco) world heritage site as a catalyst for the growth of the state’s eco-tourism industry. Chief Minister Datuk Patinggi Abang Johari Tun Openg said that on a recent visit to Niah Caves in Miri Division, he was briefed on the archaeological evidence of human settlement at the site 65,000 years ago, based on a joint research conducted by the Sarawak Museum Department and the University of New South Wales, Australia. “This is one historic success in the field of research in Sarawak because on record, human settlement in the world is about 14,000 years ago. “A Unesco world heritage site for Niah Caves will give us additional tourism revenue...this is how we can manage our forests and national parks,” he said when officiating at the Stakeholders Consultation on the Proposed Forestry Policies, here, yesterday. Abang Johari, who is also state Minister of Urban Development and Natural Resources, said in diversifying the revenue base, the state government was also exploring non-timber forest resources such as eco-tourism, carbon trading, payment for ecosystem services and community-based forestry as alternative sources of revenue. “The forests’ cultural, recreational, spiritual and aesthetic values are also significant for both urban and rural populations, with about 50 per cent of Sarawak’s population still very much dependent on forests and forest resources for their livelihood and employment,” he said. On the wealth of Sarawak’s forest biodiversity, he said it had the potential to become the basis for the development of biotechnology industry that could churn out products ranging from nutritional supplements and spices to cosmetics, perfumes and ornamental plants.